Although Mother's Life has become the new ratings leader on primetime tv, numbers on user-generated ratings site Douban are a mere 3.6 out of 10. Director Guo Jingyu wrote a long post on weibo to not only talk about the drama, but also expose a long-standing problem of TV ratings manipulation in China. 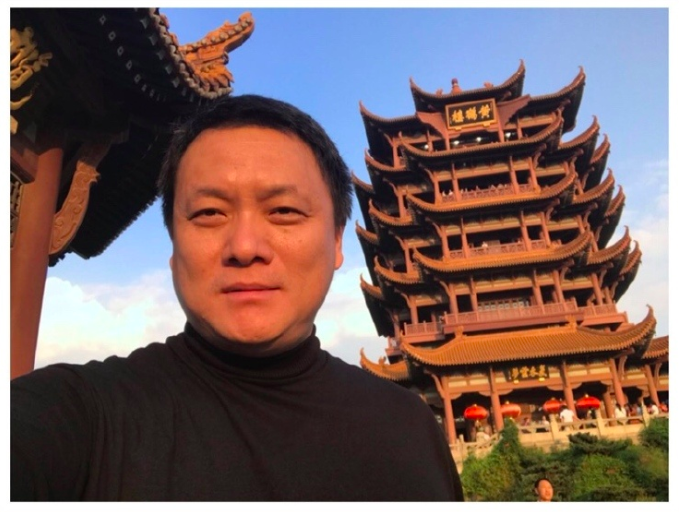 He is being compared to Cui Yongyuan whose comments against Fan Bingbing started a probe on excessive salaries among celebrities. 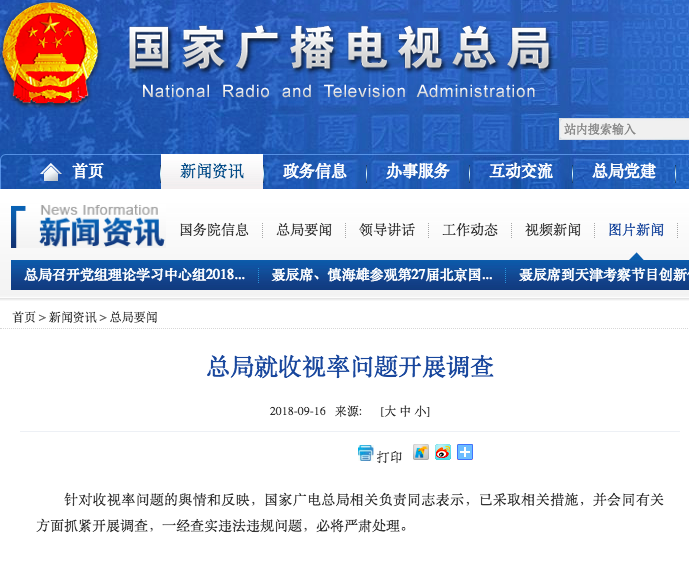 In response, the state-run National Radio and Television Administration (NRTA), formerly known as State Administration of Press, Publication, Radio, Film and Television (SAPPRFT), has announced that they are launching an investigation on the matter and that any offences will be harshly dealt with. So what exactly happened? Guo Jingyu is the director and screenwriter of the now-airing Mother's Life. He shares that while the show is doing well in tv ratings, it is his most criticized drama to date especially on Douban. The Director says that while his dramas usually work the other way around where it does well on Douban first before gaining public support, an example of this is Legend of the Condor Heroes 2017, he shares a story behind Mother's Life that sheds light on unfair practices that he claims are prevalent in the industry. No money no air date. Guo Jingyu shares that even though post-production for Mother's Life was completed in 2017. The show which was already signed to a broadcast network was not being scheduled to air. It wasn't until he met the new President of the network that he was informed of the new rules. If you don't spend money to secure ratings, the network will simply not air the drama and there are even designated fixers to get everything arranged. Going along, Guo Jingyu attended the meeting with the fixer to learn that the rate to buy ratings for one episode is 900,000 yuan. Considering that Mother's Life has 80 episodes, that amount would add up to 72 million yuan. It almost works like a security blanket so that the network would be guaranteed high ratings for their dramas. The fixer also claimed that in the last three years, there was no big drama where ratings were not bought with money. Guo Jingyu refused to participate though things eventually worked out when his drama got an air date on a different network, Beijing TV. He considered letting bygones be bygones but he recently heard that The Rise of Phoenixes was cut down by 14 episodes due to less than ideal ratings. He also learned that the going rate to buy ratings have increased to 1 million yuan per episode and it has become a non-negotiable amount. Unwilling to keep silent any longer, he was compelled to write the long expose on weibo. To intimidate people into buying into the scheme, Guo Jingyu shares that The Rise of Phoenixes is being used as an example. He claims that an example is also being made out of Mother's Life for refusing to play by the rules which has caused the show to have terrible Douban ratings. Apparently, one negative review on Douban costs only 5 yuan per comment. Thank you for translating this kind of shady issues in C Ent. First is with stars getting paid exorbitant salary yet trying to avoid paying taxes and now broadcasting stations corruption with dramas ratings. Thanks for reporting. Guo Jingyu is brave to come out with this! How disappointing to realise how corrupt the industry is. It must be so frustrating for people who just want to make and show a drama honestly. Makes you realise how little the facts and figures, ratings and reviews can be trusted if they can be so easily manipulated or purchased. C-entertainment is really hurting itself with all the corruption and the government with all the various restrictions, bans and censorship. We all knew it, dumbest dramas always get first place. Doesn’t matter how stupid a show is, just cast at least 1 convincing actor/actress in the show, pay quite a bit to get the first breaking record ever for ratings, pay a few people to make several accounts to write good reviews, boom! New stars get born, they owe u for getting huge huge pay next time, and u also get more money back than what u have spent on. Is he referring to tv ratings as in tv ratings or douban ratings? His series is doing very well on both channels, so it seems odd for him to be complaining about it. Its true what he claims about douban ratings, it goes both ways though, production, management and fanclubs probably buy those high scores on douban too. When the tv ratings dont match the douban ratings you know something is up. I never found that the people who score on douban are fair in their scoring, its either a 5 star or a 1 star. Its only those series that have no hype around it that receive a fair evaluation.